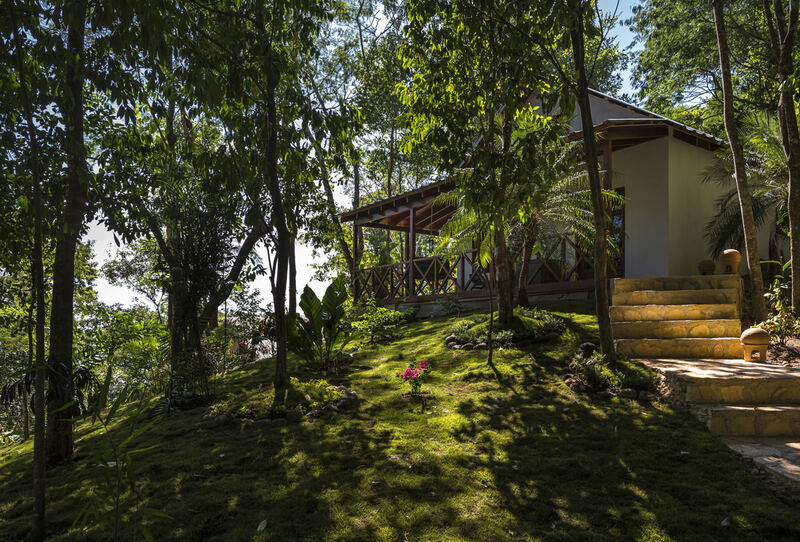 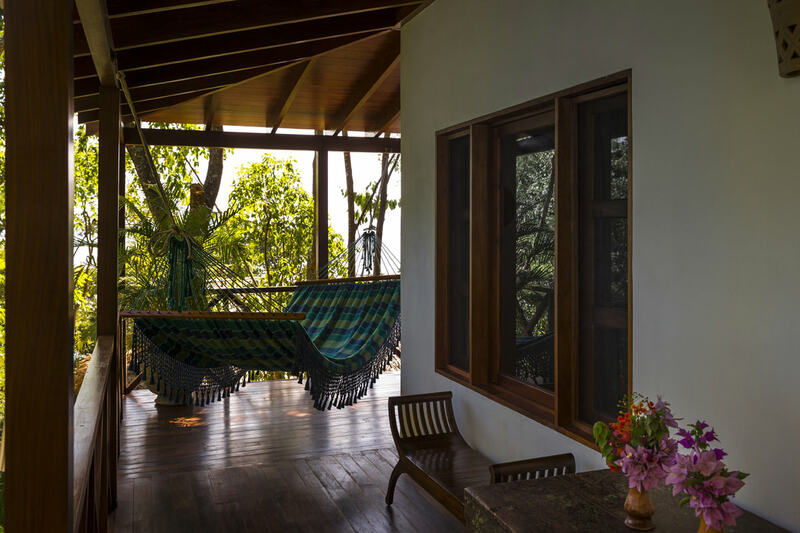 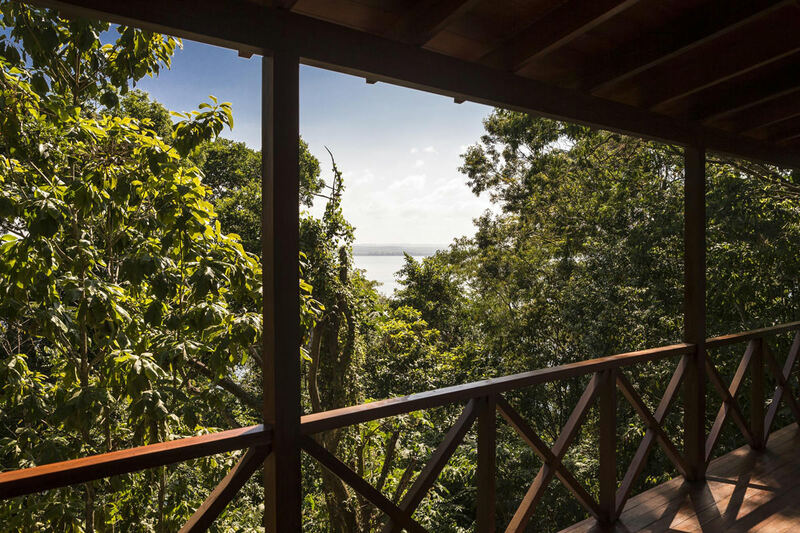 Cross a ravine to our newly built Rainforest Junior Suites, which sit high above lush vegetation overlooking Lake Petén Itza. 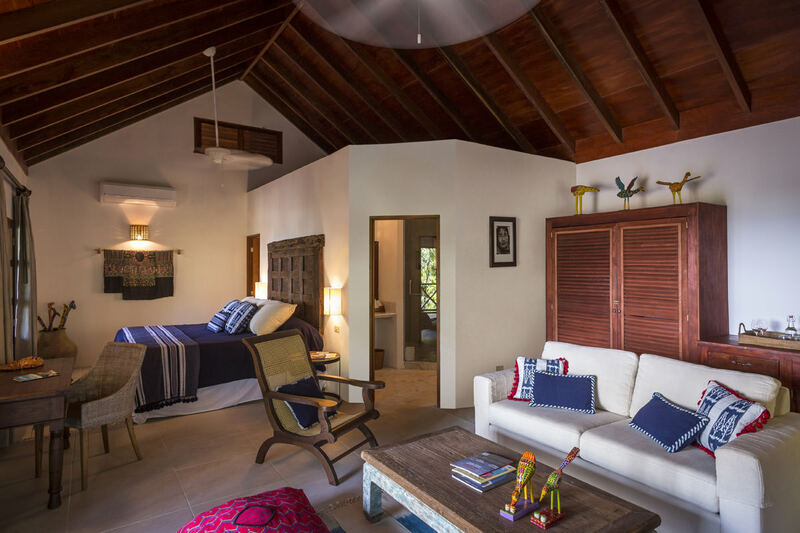 The suite is ideal for couples looking for a peaceful getaway. 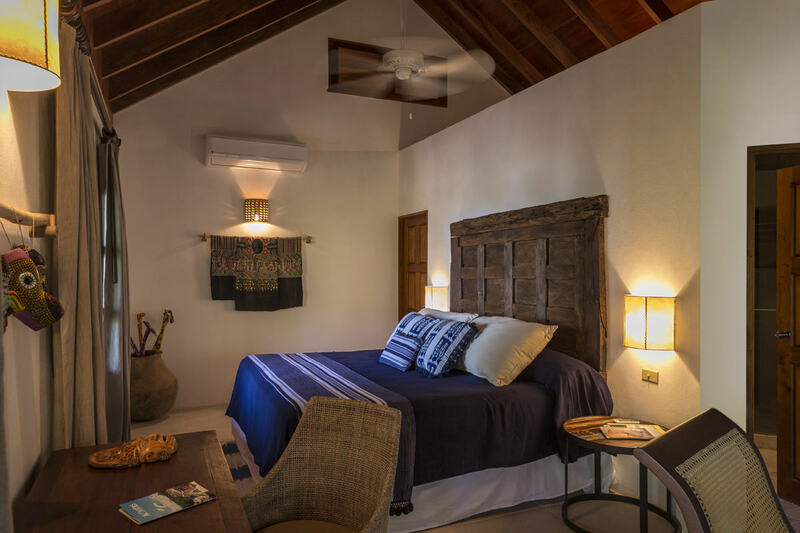 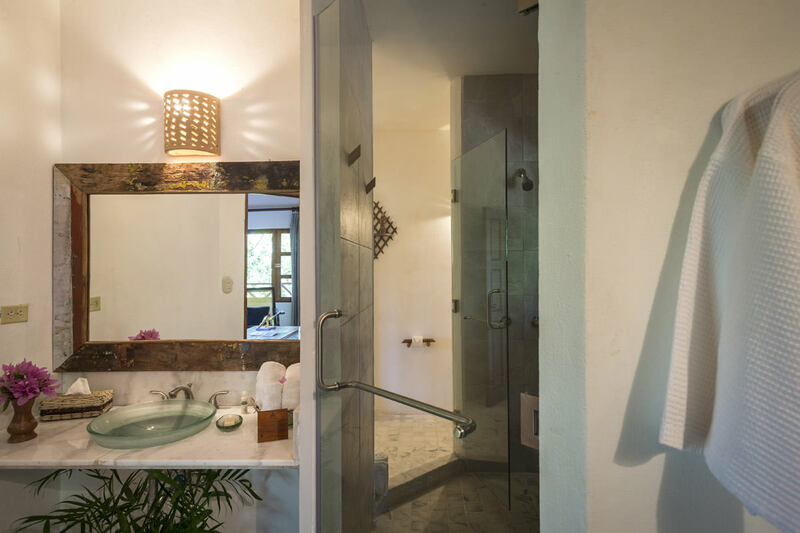 Private and intimate, each has a king-size bed, a main living area with a sleeper sofa, full bathroom with shower and dual shower heads, and a wooden deck set up with chairs and hammocks to take in the balmy evenings. 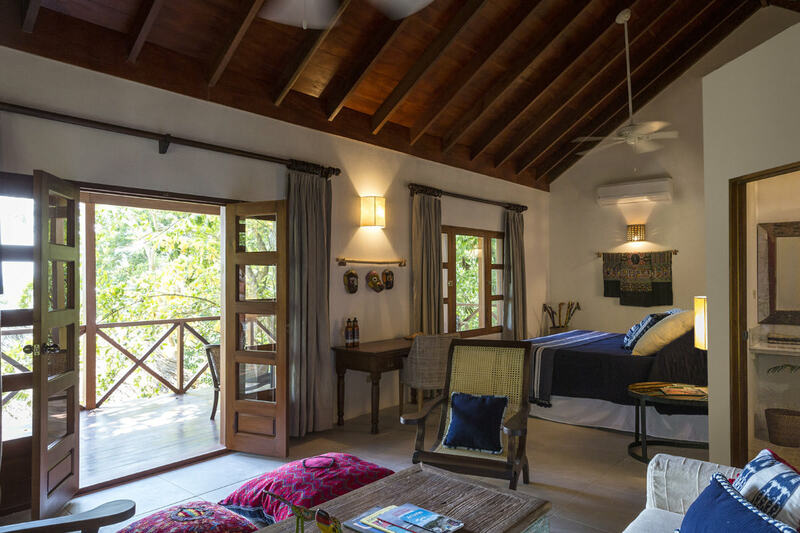 Hand-picked artifacts, furniture and décor from around the area lend to the exotic feel of the accommodation. 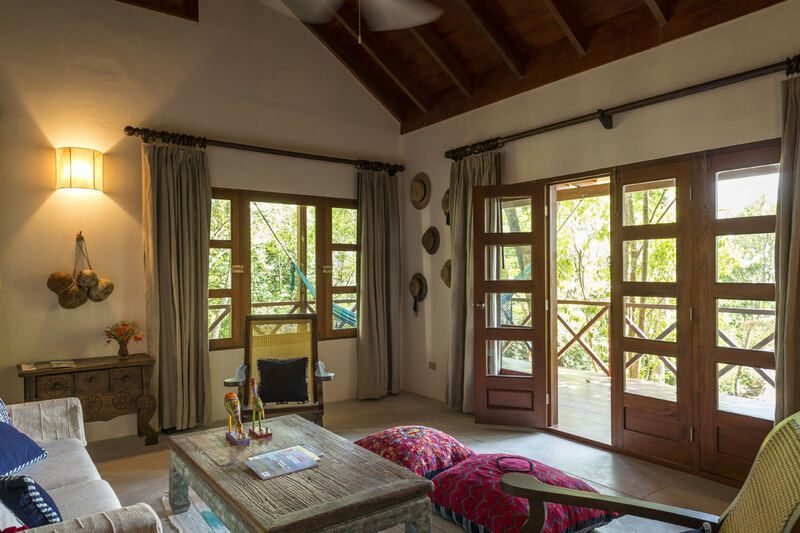 Maximum occupancy of two adults and two children.